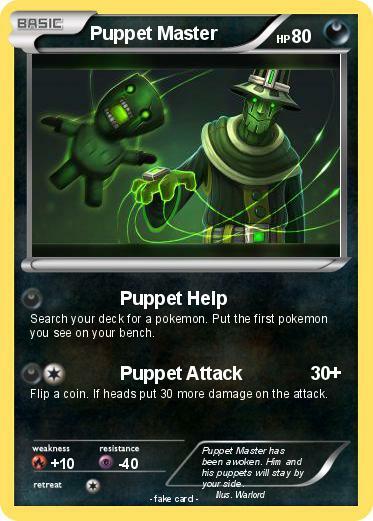 Search your deck for a pokemon. Put the first pokemon you see on your bench. Flip a coin. If heads put 30 more damage on the attack. Comments : Puppet Master has been awoken. Him and his puppets will stay by your side.